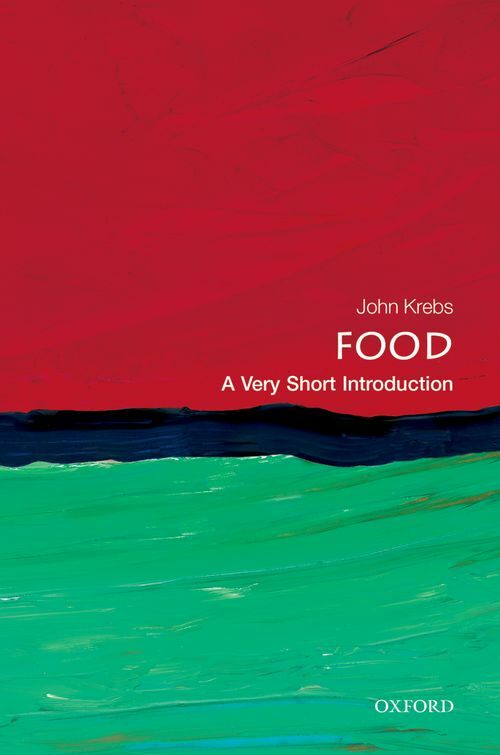 In this Very Short Introduction, Prof Lord John Krebs provides a brief history of human food, from our remote ancestors 3 million years ago to the present day. By looking at the four great transitions in human food - cooking, agriculture, processing, and preservation - he considers a variety of questions, including why people like some kinds of foods and not others; how your senses contribute to flavour; the role of genetics in our likes and dislikes; and the differences in learning and culture around the world. In turn he considers aspects of diet, nutrition, and health, and the disparity between malnutrition in some places and overconsumption in others. Finally, he considers some of the big issues - the obesity crisis, sustainable agriculture, the role of new technologies such as genetic modification of crops, and ends by posing the question: how will it be possible to feed a population of 9 billion in 2050, without destroying our natural environment? Professor Lord John Krebs is the Principal of Jesus College Oxford. He has held positions at the University of British Columbia, University of Wales Bangor and Oxford University, where he was a Royal Society Research Professor from 1988-2005. Between 1994 and 1999 he was Chief Executive of the Natural Environment Research Council and from 200-2005 he was the first Chairman of the UK Food Standards Agency. He is an independent cross bencher in the House of Lords, where he chairs the Science and Technology Select Committee. He also chairs the UK Climate Adaptation sub-committee and is a Trustee of the Nuffield Foundation.